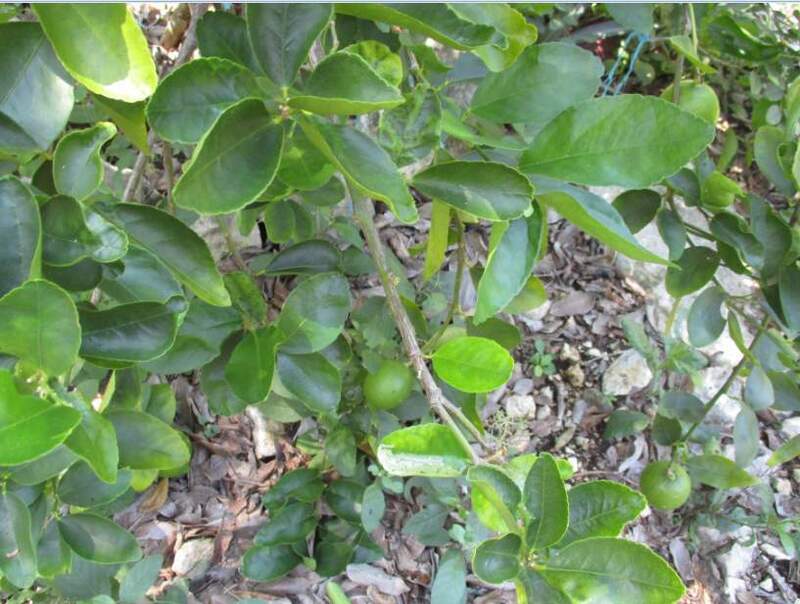 We all use limón and the lime tree is one of the easiest fruit trees to grow in this area of the Yucatan. It grows between 3-6 meters high and can thrive in poor and rocky soil. Limes can be used to make a disinfectant for vegetables, insecticide, and as a general cleansing drink especially with mineral water. Lime has an alkalizing effect on the body and its oil is also useful. 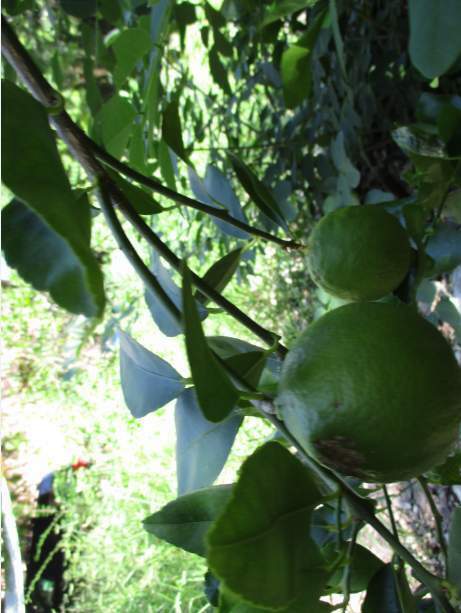 If you want limes soon, buy a young tree that already has some fruit on it. Only one tree is necessary. You do not need two for pollination.